Looking for tips on what to do in Cairo? As part of our city guides series, we interviewed Giulia Cimarosti who has previously lived in Cairo for 9 months and visited another 8 times. Giulia shares with us her insider tips on what to do in Cairo for those looking for the best places to see, eat, stay, drink, and explore. Festivals and Events in Cairo? Cairo has always been included in package tours for basically any trip to Egypt, but what’s usually shown is not the city itself. 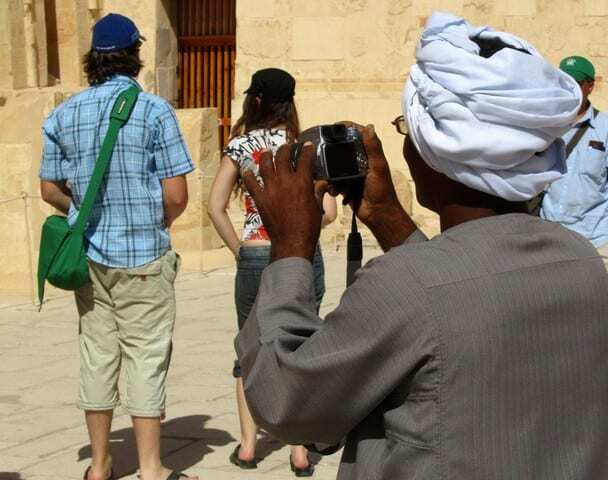 Only the Pyramids, the Egyptian Museum, and a few more touristic spots are all the tourists get to see. Too many times I hear people saying they’ve been to Egypt but all they did was go to a beach resort and spend not more than a week there. It might be beautiful but it’s definitely not an authentic Egyptian experience! In my opinion, one can’t say he’s been to Egypt without spending some time in Cairo: this really takes people into the hectic Egyptian life, together with its many contrasts and real culture, food, habits. 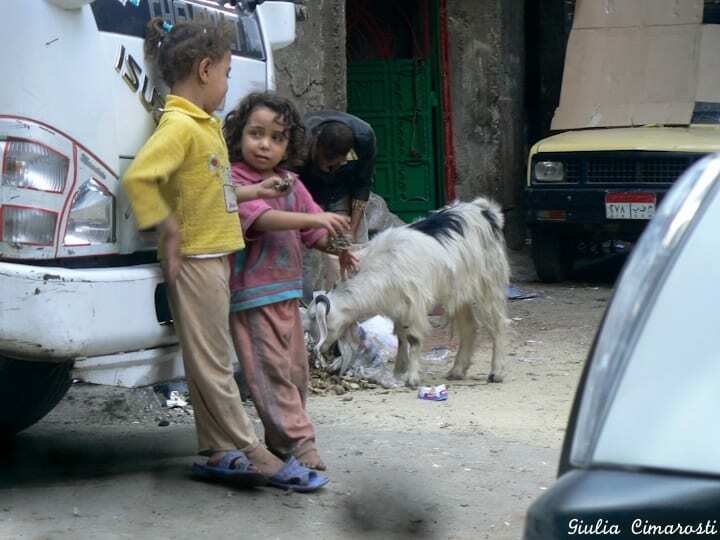 In Cairo you can find one thing and its opposite: luxury and poverty, culture and illiteracy, beauty and ugliness, the friendliest people on Earth and the most dishonest ones, and so on. It’s up to you to find the right path! Two days never look the same when you live in Cairo. If you have to go from A to B you’ll definitely have to face challenges and find a different solution every day and this is what makes it so exciting! On the same day you arrive, I would take you out for dinner at Al Azhar Park just before sunset, to show you the city from above and the sun going down on the Pyramids. This is a rather fancy and clean place that I believe is the perfect place for a soft approach to the city. Another “easy” thing to do is visiting the Citadel, a place with no cars where you can wander and take beautiful photos of Cairo from above. I would get lost with you down in the narrow alleys and up on the roofs of mosques of Islamic Cairo. It might sound touristy but it’s very typical instead: I would invite you on a felucca ride on the Nile at sunset, to relax and enjoy the views and the rare silence. I was almost forgetting the most famous things! Visiting the Pyramids of Giza and the Sphinx is of course a must. Some neighborhoods are as big as cities so it’s not easy to answer this question. 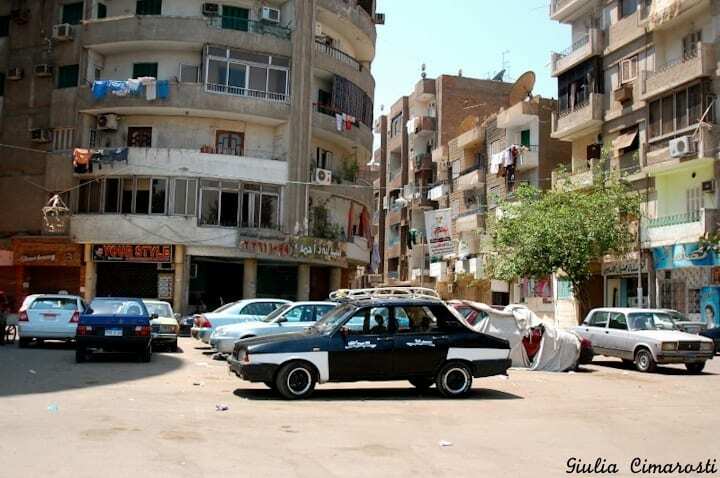 I heard that the neighborhood of Maadi alone has something like 2 millions people! 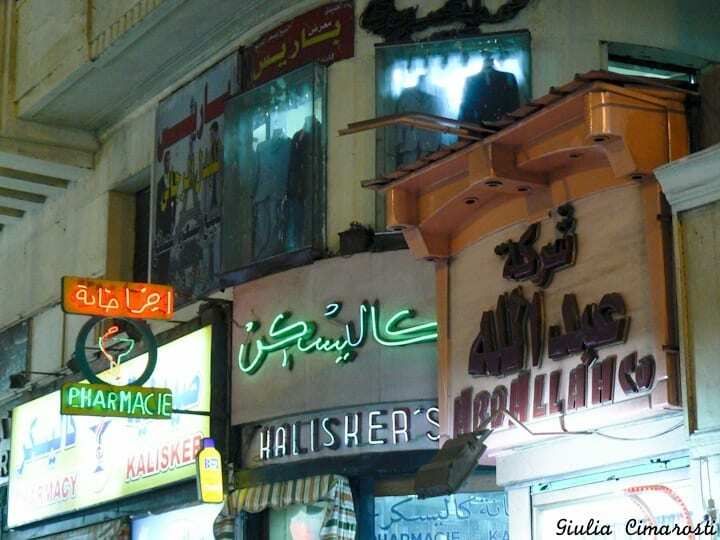 Anyway I must say my favorite one is Downtown (Wust el Balad). I instantly fell in love with the area the first time I saw it from the window of a bus, on a “Cairo by night” tour. This is where the Egyptian Museum and Tahrir Square are located, just to name the most famous things. The next time I went back to this area I was on my own and I must say I was intimidated by its chaos and people staring at me. But now I wouldn’t live anywhere else! 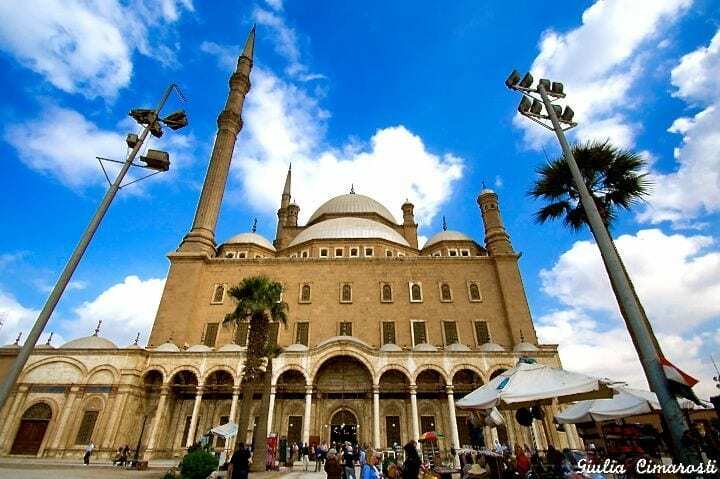 Something very interesting to visit in Cairo is the so-called “Coptic Cairo”, an area where you can visit churches, Christian graveyards, and the famous Hanging Church. It’s such an unexpected atmosphere, it almost feels like being in another city. 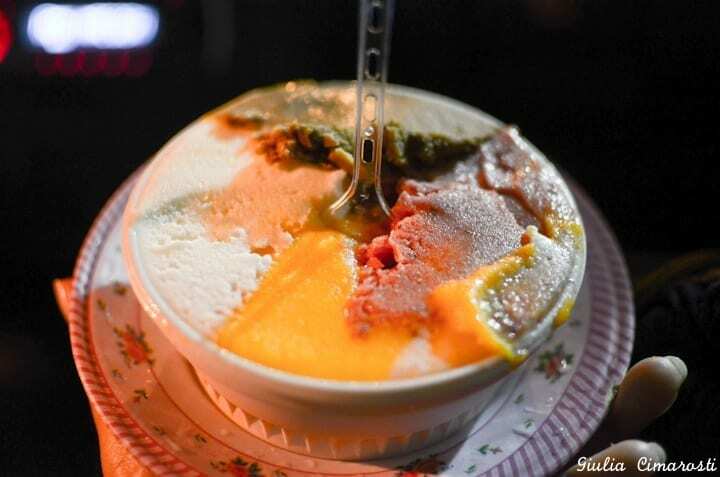 In Cairo, there is definitely a lot of choice when it comes to food! For very cheap meals, try the Felfela takeaway for falafel and foul – you can eat a “taameya” (falafel sandwich) for about 1.50 EGP: 0,25 USD. If you like koshary (a typical mix of rice, pasta, lentils, meat, and spices) don’t miss Abou Tarek, just behind Tahrir Square. It’s super cheap and you can’t get anything more typical than that! For a fancy dinner with a beautiful view, don’t miss the Restaurant at Al Azhar Park. I also have to mention my favorite Italian restaurant in Cairo: it’s called “La Bodega” and even if it’s pricey in local terms (about $30 per meal) the food is delicious and with a very good service. Last but not least, Cairenes love fast foods! So don’t feel guilty if you want to hit Pizza Hut, McDonald’s or the more local Hardee’s – it’s normal habit in Cairo, and if you feel lazy there’s a website called Otlob.com where you can order nearly any kind of food – from Chinese to McDonald’s, to Yemenite – 24/7. The typical Egyptian breakfast: “foul”. It’s made with a bean paste and vegetables, served in a typical flat bread bun. Taameya: the falafel sandwich named above, usually sold in the same places where they sell foul. Koshary is maybe the most typical thing. Very cheap and it fills you up for hours! 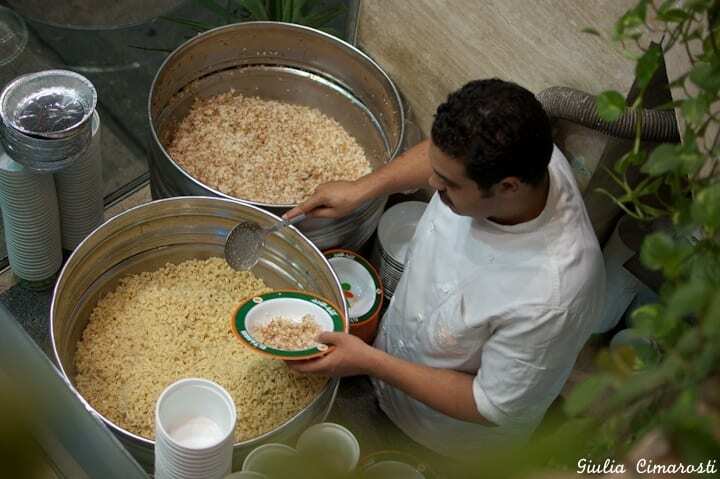 It’s a mix of rice, noodles, pasta, lentils and chickpeas. Shawerma: also called “kebab” by someone, but this is the Egyptian version! It’s made with either lamb or chicken meat, peppers and a lot of spices. So tasty! Something very typical that I didn’t dare trying is the stuffed pigeon. 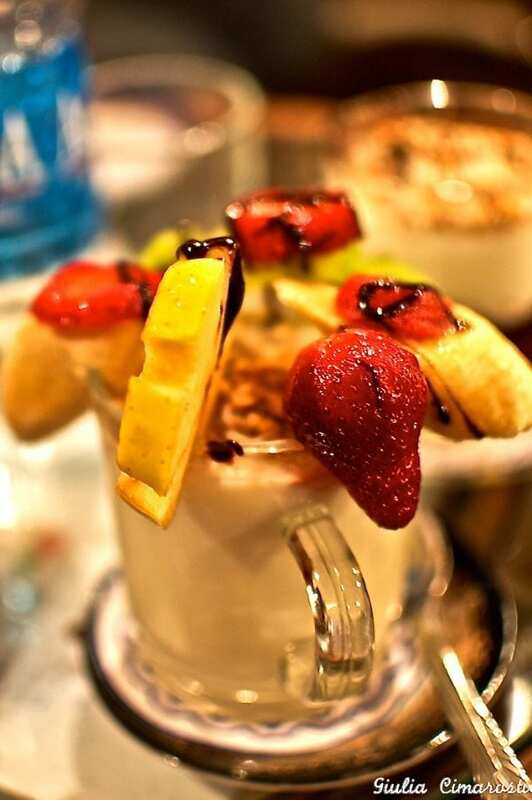 Sahlab is a tepid milk cream that is served with fruits, chocolate, coconut or whatever you ask for. It’s freshly made to order. Also, don’t miss the “mahshy” – vegetables stuffed with meat, rice and more vegetables. 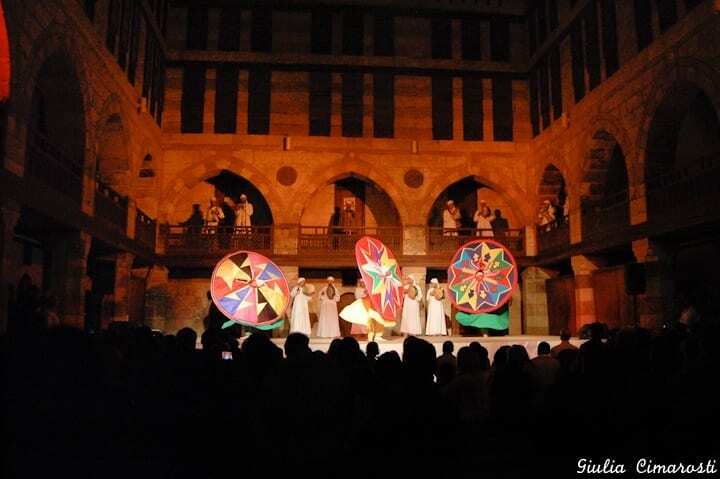 If you want to breathe the atmosphere of Islamic Cairo, don’t miss Bayt el Harawi at night, where you can watch free shows such as sufi dance and tannoura (whirling dervish), concerts with typical Middle Eastern instruments, etc. For partying, there are some nice clubs such as Buddha Bar, Stiletto, Purple and countless new clubs that keep opening. Most of them are located on docked boats on the Nile, so the location alone makes the outing worth it. 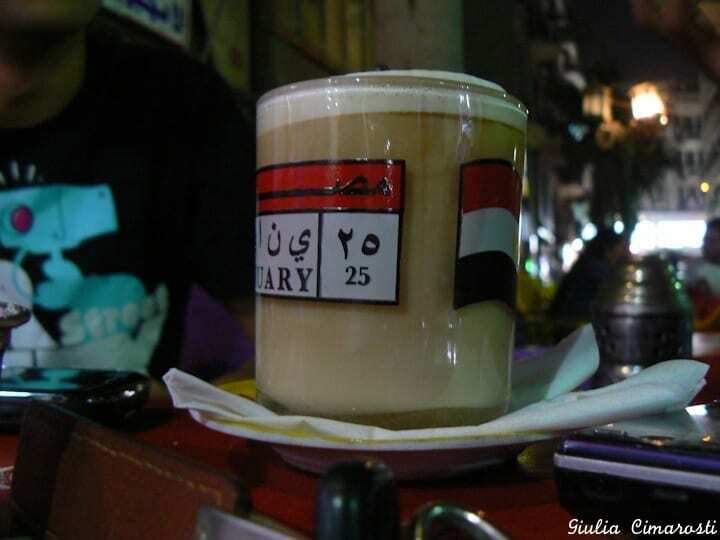 Also, sitting for hours in an “ahwa”, the Egyptian name for a cafe (basically chairs on the streets) chatting, smoking shisha and playing board games is something very typical. I usually stay in apartments, as it’s overall cheaper than any budget accommodation. Word of mouth is definitely the best way to find the right sublet for you. There are also some very cheap hostels in downtown but of course, you can’t expect much luxury. There are very modern, luxury and beautiful hotels. Consider staying at the Four Seasons, Sofitel or the Kempinski – you won’t be disappointed. If alcohol is important for you, check if it’s served in the hotel you choose before confirming your reservation. For more places to stay in Cairo choose from the largest range of hotels, apartments, and guesthouses with our partner Booking.com. You get free cancelation on most rooms, and in most cases you only pay when you stay. It really depends on what you want to buy and how much you want to spend! 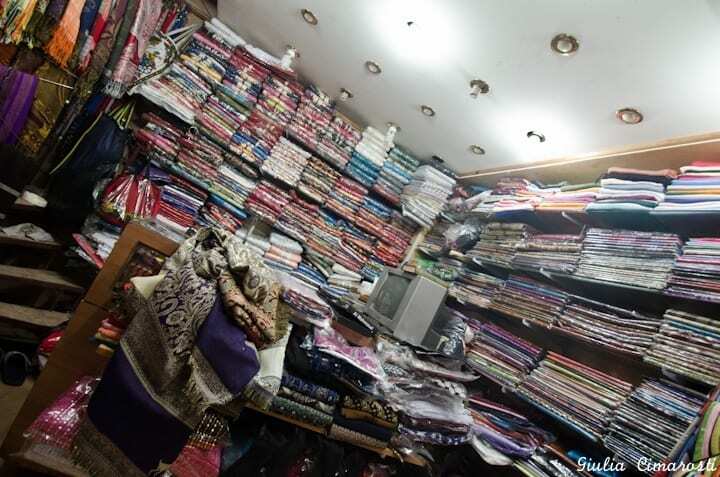 For souvenirs and bed linen I would definitely go to the famous Khan el Khalili market. It’s beautiful and even if the main roads became way too touristy you can always explore the backstreets to find the best deals. If you want to go shopping and you like branded clothing etc, you can’t miss the City Stars mall, a seven-storeyed building with shops, movie theaters, restaurants and a souq reproduction. For cheap clothing I always choose Downtown with its colorful and huge windows. Last time I bought 2 pairs of jeans and spent something like €12. Another thing I like about these shops is that literally everything they have is shown in the windows so you can have a look from the outside and enter the shop only if you are interested and when you already chose what you want. I would say the main “event” is the Ramadan, even if it’s not a festival but a religious event. As most of you know, this is the Holy Month when people fast until sunset, there are special praying sessions and everyone has to act well, donate to charity, spend time with their families and in general live without committing sins. After sunset though, the city looks completely different. The streets are lightened with colorful lights, people gather to eat together, the music is in the air. It’s definitely very interesting to witness the Ramadan, but remember that it’s not polite to eat and drink in public during those days – respect the people who are fasting. Also, most clubs (and companies in general) stay closed during the Holy Month so if your aim is partying well that’s not the best time of the year! On the other hand Ramadan is a great time to enjoy the city without too much traffic as many people take vacations and travel outside of Cairo. 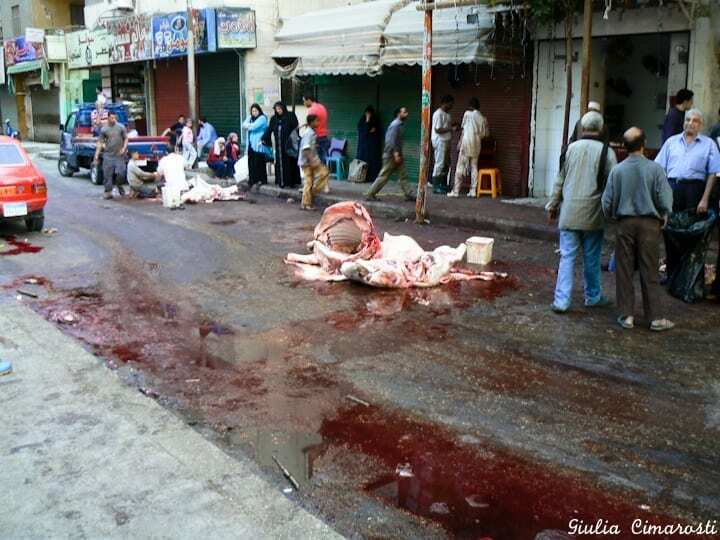 There are many religious feasts throughout the year, but one that I think is worth mentioning is the Eid el Adha – this is the feast when people slaughter cows and sheeps in the streets. And if you don’t like the sight of blood then you can definitely avoid it, or take advantage to have a short trip outside of Cairo. Other than religious festivities, the major national holidays are the Sinai Liberation Day (April 25th), Labour Day (May 1st), Revolution Day (July 23rd, with reference to the 1953 Revolution), Armed Forces Day (October 6th), and of course the National January 25th Revolution Day! Public transportation in Cairo includes taxis, metro, buses and microbuses. I wouldn’t recommend moving around by bus and microbus to a newcomer – it’s not easy to figure out their destination because it’s either written in Arabic or there’s nothing written on the bus itself: someone peeking from the bus door just screams the destination to the people in the street so if you don’t speak the language is quite hard. After some time you can figure out the routes of buses and microbuses also by asking to locals so that you can finally try this adventure and explore the city in the cheapest possible way. The metro is easy to use, there are separate cars for men and women (that is: women can ride men’s cars – at their own risk – but men can’t access the women’s ones) and it’s clean enough. 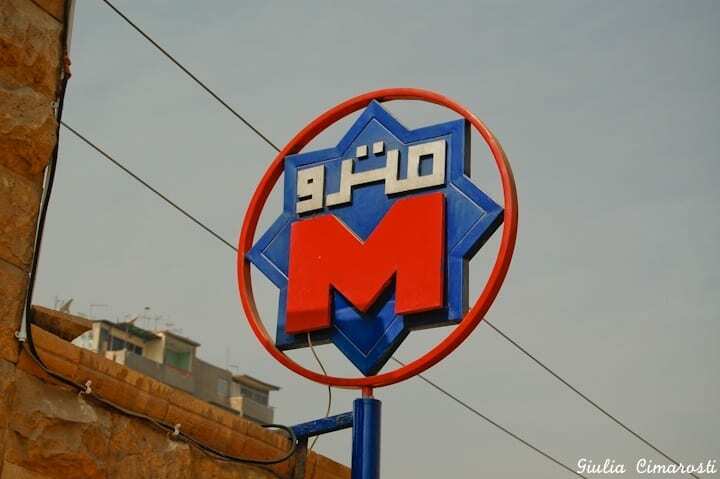 Unfortunately, the metro doesn’t reach all areas of Cairo yet, but it’s very cheap (1 EGP per ride = 12 Euro cents) and it makes you avoid traffic, so sometimes you can use a combination of metro and taxi to move quicker. The easiest way to move around Cairo is definitely by taxi, but there are 3 kinds of taxis and you have to know the differences. 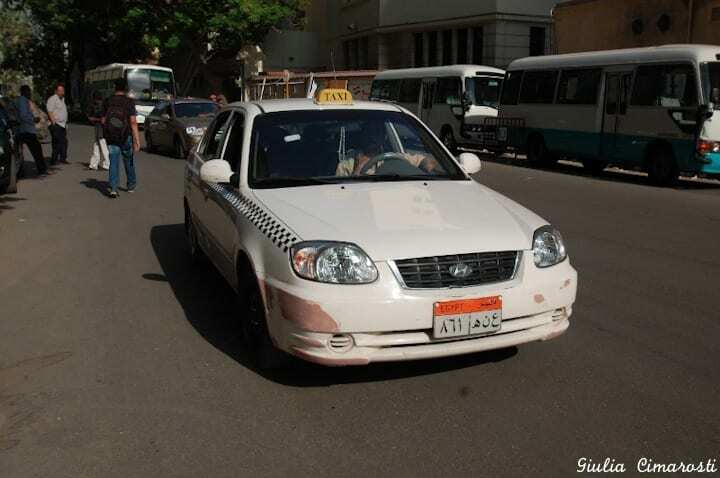 Black taxi are the oldest ones, usually without air conditioned and always without a meter. If you go for a black taxi you have to agree on a price before getting on the car, or your trip will end with a taxi driver asking for an outrageous amount of money, especially if you look like a tourist or it’s obvious that you don’t know where you’re going. Another option is to ask nothing, act like you know exactly what you’re doing and when the ride is over give the money to the driver and walk away. Of course in this case, you have to know roughly how much the ride is worth. An easier option is the white taxi. These are newer and nicer, and the main difference is that they have a meter so you won’t have to haggle for the price. Just be careful, sometimes the taxi drivers modify their meters to get more money or turn off the meter to ask you the money they want. Try to avoid these! The third kind of taxi is the yellow one. This is the one you call and make a reservation for, so you never really need it unless for instance you have a flight at a certain time and want a reliable service to pick you up, be on time and take you to the airport. They also have fixed rates. Cairo is very WiFi friendly! You can find a network nearly everywhere. I remember when I used to work an hour away from my flat, when I took the taxi back home I could connect to the networks of factories on the way. So I could surf the net while in the traffic. Even the simplest cafes usually have a free connection available so all you have to do is sit at a table, smoke a shisha and enjoy the wifi while sipping a typical Egyptian tea. I would say anytime but summer (May to September). Winter can get pretty cold in Cairo too, so if your accommodation doesn’t have a heating, which is very likely if it’s a budget hotel or hostel, it can get tough. On winter I would recommend going south and visiting Luxor, Abu Simbel, Marsa Alam and the other locations in Upper Egypt, where the temperatures keep very warm throughout the year. Another thing you might want to consider is Ramadan – since most clubs, shops, and companies are closed during this month, it is definitely interesting but there won’t be much to do. 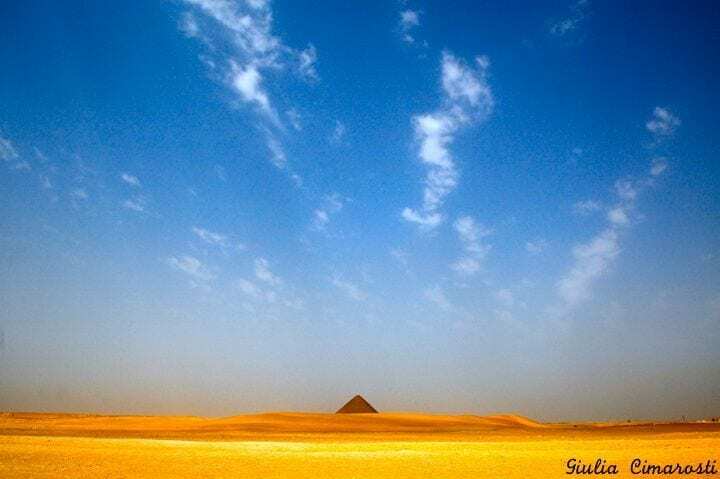 The pyramids of Saqqara, Dahshur and Memphis: did you know that there are many more pyramids in Egypt other than the Giza ones? Dahshur has 3 pyramids and is much less touristy than Giza. You can enter the “Red Pyramid” and you won’t find any crowd or tout around it. Memphis was the ancient capital of Egypt, and Saqqara is where the famous “Step Pyramid” is located, together with its temple. 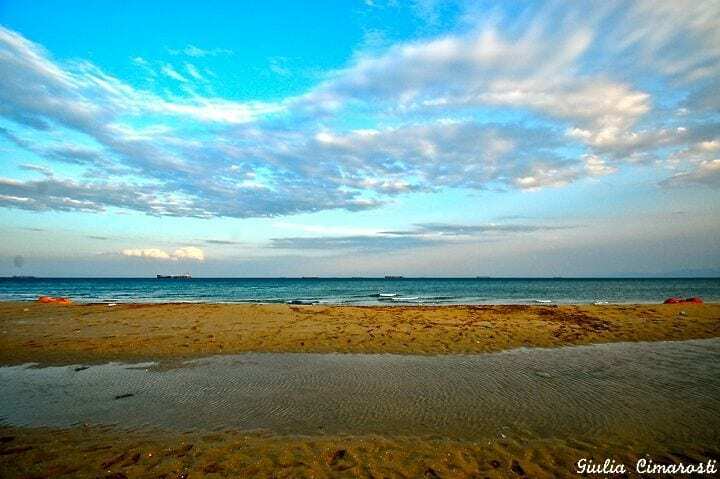 If you want to go to the sea, Ein El Sokhna is the closest beach resort to Cairo. You can get there in about 2 hours, driving east. There is no coral reef or anything, and the place is not too crowded as Sharm El Sheikh, so it’s very quiet and simple. Another option is driving north to the so-called “North Coast”, on the Mediterranean Sea. There are some beautiful beach resorts up there, such as Marsa Matrouh for example. 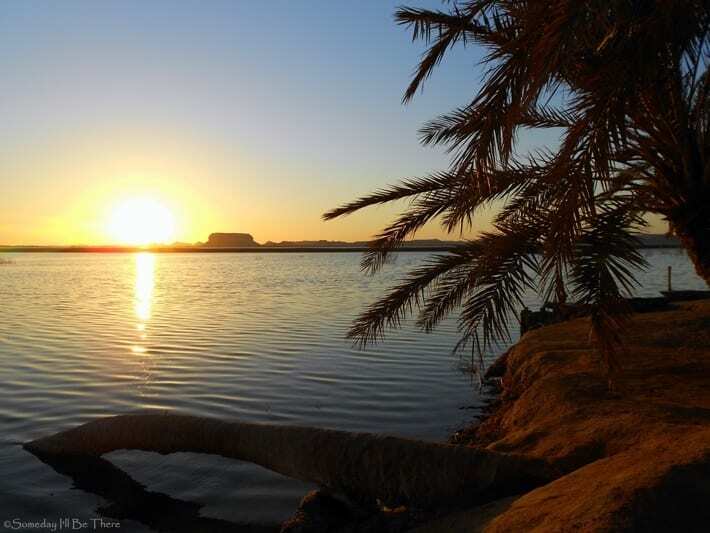 Last but not least, at just about 2 hours driving south of Cairo you can get to the oasis of El Fayoum with its lovely towns, lake and pottery factories. 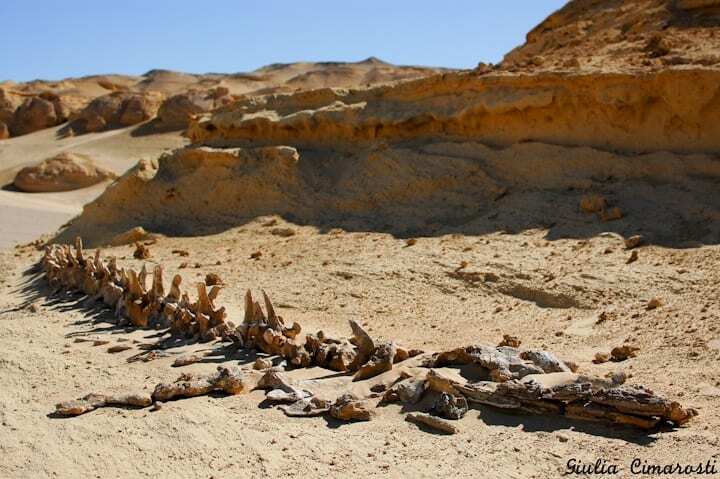 Just outside of the oasis there is the beautiful desert of Wadi el Hitan (the valley of the whales) and Wadi el Rayan, where you can ride beautiful dunes, camp and see the fossils of sea plants and fish that used to live there when the desert was once an ocean… how fascinating! There’s a “drive through” version of nearly anything in Cairo: you can stop by a kiosk and get your drinks, food, ice-cream or even shisha directly on your car. This is something very typical and fun! Ask your Egyptian friends to take you to some of these places and you’ll definitely have a good laugh together with yummy meals. 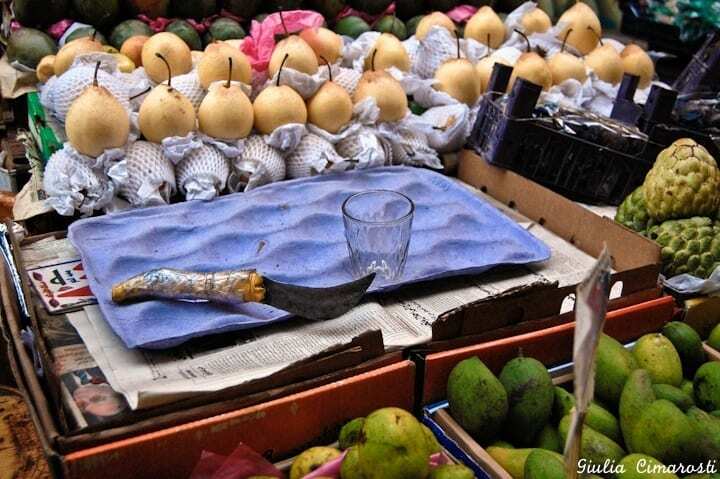 Fruit juices are sold at kiosks on the streets and are as cheap as refreshing. In Egypt I ate the tastier fruit ever, and no I have never been sick. For some more beautiful views over Cairo you can enjoy sitting on the edge of the flat Moqattam mountain, overlooking the city. They also serve drinks and shisha up there, but the cafes tend to be a bit too pricey if compared to other places in Downtown. An experience that I recommend to everyone is visiting the so-called “Garbage City”, an area where people literally live in the garbage, spending their lives separating the trash and selling the different materials to make a living out of it. It goes without saying, Garbage City is a very poor area. 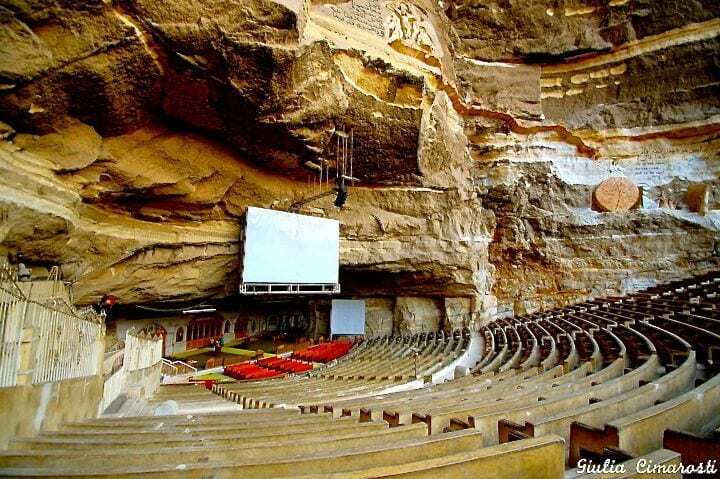 It’s a Christian neighborhood and after you cross it all (a strong experience itself) you are “rewarded” by the magnificent view of the Cave Churches. I know there are people that would never dare going to Garbage City, but I also believe that in order to fully understand where we are, we can’t only see the beautiful sides of the places we visit. I love Cairo because it’s impossible to get bored when you’re there. It’s a safe and incredibly lively city. People here are friendly and helpful, and I met some of my best friends during my stay in Cairo. I love Cairo because it’s an affordable place to live in. It’s a city where you can find anything you want, and if you are stressed by its hectic life you can reach the peace of the desert or the sea in just a couple of hours. I love Cairo because even in the worst traffic you sometimes spot the pyramids on the horizon, or you find yourself crossing one of the countless bridges on the Nile, and you are therefore constantly reminded of the magnificent history of this place, and you can’t help feeling a profound awe, reverence, and respect towards it. Booking.com has 208 properties in Cairo including hotels, apartments, and guesthouses. You get free cancelation on most rooms and a best price guarantee. BIO – Giulia Cimarosti – I am Italian by birth, but I still have to find my “home”. I guess I found it in Egypt, but I want to go on exploring the world and see it all before settling down! Well, I change my plans almost on a daily basis, so I have no idea where I’ll end up, and I’m fine with it! All I know is that I live to travel and my passion is reporting everything I see with thanks to my travel blog, my facebook page, my twitter and my beloved camera. 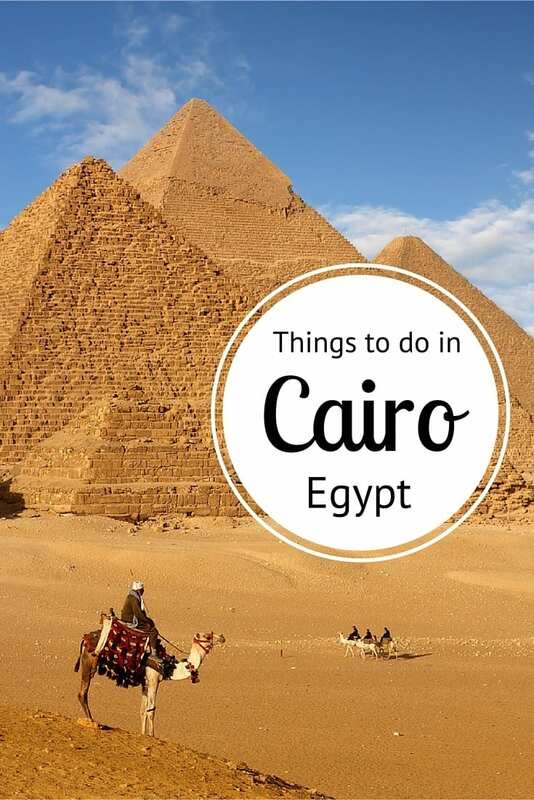 Do you have any tips on what to do in Cairo? I just have to say, if it were not for travel bloggers like yourselves, the world would remain “unknown” to many. There was a day when every household had a set of world encyclopedias that were update yearly! These no long exist…………so this is where the travel blogger comes in. Thank God for all you share with us. thank you again for featuring me! And Otlob.com! haha! I really miss that one! Mina… Thank you! It’s so nice to hear that from an Egyptian! Cairo is paradise for lazy people like me… and you too I can see! Anything can be delivered 24/7, can never get used to shops that close at 7pm when I go back to Italy! Cairo seems such a wonderful place. The description makes me crave for the place. Wish I could make a trip there sometime. I hope you’ll get to visit Cairo and Egypt soon! Thanks for stopping by. I really enjoyed reading this and it’s full of great insider tips. It makes me want to pack my bags this second and head for Cairo! When I do (very soon) I’ll remember to come back here for all these recommendations! Awesome post! Great to hear you’re planning to visit Cairo soon! If you need any extra info I’ll be happy to help. I’m not sure if I’ll ever make it to Cairo but if I go I will be referring to this blog post. What a fabulous resource with amazing photos. Thank you. Wish you to get to Cairo (and Egypt) soon! What a great source of info on Cairo! I’d love to go to Egypt, and after reading about it time and time again from Giulia, I just want to go even more. And beautiful photos! Lived in this wonderful city for 2 years. I was in Maadi, party so my partner could get the bus to AUC easily and partly just to have some quiet but it was still busy down there! We would just taxi or metro into town and it was pretty easy. I miss so much about Cairo but there are things that I don’t miss either. My heart will always be there though and I will be back…. For food you forgot to mention Fetir, I LOVED cane juice too :). One mango juice and a cane juice was plenty for lunch! I loved this blog post about Egypt! It reminds me of all the things I love about spending all my summers in Egypt. I really love how you are sharing truly Egyptian treats so others can experience the real country, full of riches, kindness and darn good food! 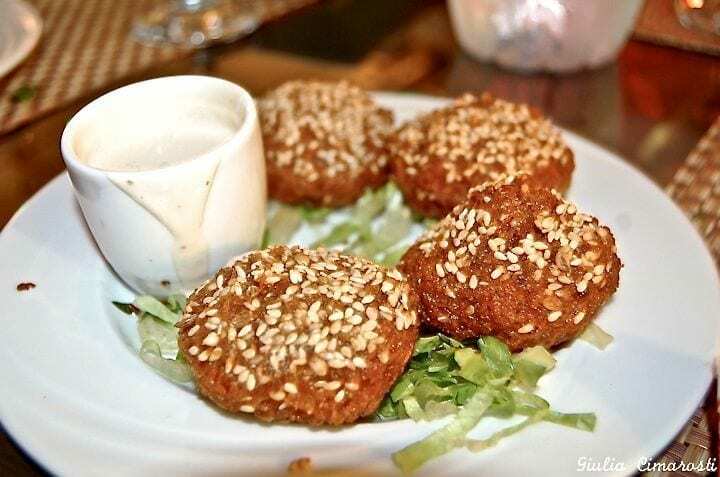 I must add- another wonderful Egyptian food to eat is molokhia – the consistency is a bit “slimy” but it is so delicious! I’m now homesick! 🙂 Thanks for sharing! Pleasure! Thanks for sharing your tip Sara! Hi, find your writings interesting. How is marriage/love life in Egypt like? I must use long sleeves?? I hope you’ll enjoy your time here! Great tips. If people go to Egypt and don’t visit Cairo then they are really missing out. Great tips though on everything I wanted to know. An amazing place with such natural delights. I will surely plan my upcoming vacation to this place.thanks for posting nice views…..
We were here on Eid …after Ramzan was over and the whole city seemed to be celebrating! Perfect time to feel the pulse of a culture. Hopefully, the city is safe to visit now and that the Pyramids will continue to attract visitors as always! Thanks this is all great information. One thing, when it comes to accommodation, if you can afford it, stay at Le Riad Hotel in the Islamic quarter. It is absolutely beautiful and in a wonderful location. Thank you for the great information .I’ve travelled a lot and I’ve never met a warmer, more hospitable, down-to-earth and downright funny bunch of people. this is a country where a smile goes a long way. That’s the way life should be. whether it’s sly, bawdy, raucous, smart or just plain hilarious, everyone here appreciates a good joke. There’s very little that can’t be, or isn’t, laughed at. Cairo. I read and dreamt about this crazy, beautiful, fascinating city when I was a child and, so far, it’s never disappointed me. That it’s multi-layered and multi-faceted and never, ever dull – from the chaos of Cairo to the beauty of Siwa to the hippy charm of Dahab and the sophistication of Gouna. And that’s just a fraction of its charms. That nearly everything is open nearly all of the time, which makes life so much easier. I can buy my groceries at midnight if I need to, which takes away a lot of the stress of city living. What are you waiting for? Now seems to be as good as time as ever. Lovely! Thank you for sharing your experiences. We just got back from our second trip to Egypt, the first being in 2008, before the 2011 revolution. This most recent tour was with Viking. To us, the security situation seems similar to 2008. Since a 1997 European tourist bus attack in Luxor, the Egyptian government has taken tourist security very seriously, as tourism is 15% of their economy. As in 2008, tour buses have an armed guard riding within the bus, and each bus is followed by a tourist police car containing 4 armed officers. There are numerous armed police check points on all roads, more frequent near and around tourist areas. Tourist sites, such as the Egypt Museum in Cairo, have concrete barriers surrounding building entrances and several layers of scanners, with a large police presence. Larger hotels have this level of security with explosive sniffing dogs and vehicle trunk and undercarriage inspections and limited ability of vehicles to approach the building. The security rivals US embassies. These measures were in place in 2008 and are not new since the revolution. There was essentially a military dictatorship in 2008, as there is today. We felt very secure during our entire trip. I walked for an hour through Aswan and felt very comfortable. I would not recommend independently traveling through Egypt today or in 2008, as only rare signs are written in Latin script and few Egyptian speak any English unless they are involved in the tourist industry. I would advise using a tour group, and our experience with Viking was excellent. Any visitor to Cairo, Paris, New York, or Copenhagen needs to have “situational awareness”. One needs to be aware of their surroundings and who is approaching them. Eyes open and brain turned on. Don’t wait, go to Egypt. See the most ancient of civilizations. Be overwhelmed by the age, size, and grandeur of the temples, tombs, and pyramids. We have been to many interesting places all over the world. Egypt is number one on our list. GO TO EGYPT, NOW!! What a great blog! This is such an amazing post. Thank you for sharing with us and glad to you for advice. I have visited with my family to spending our vacation with the help of Ask-Aladdin and we enjoyed our trip with safe. Egypt is the best ancient place for tourist and there are very things to learn also. 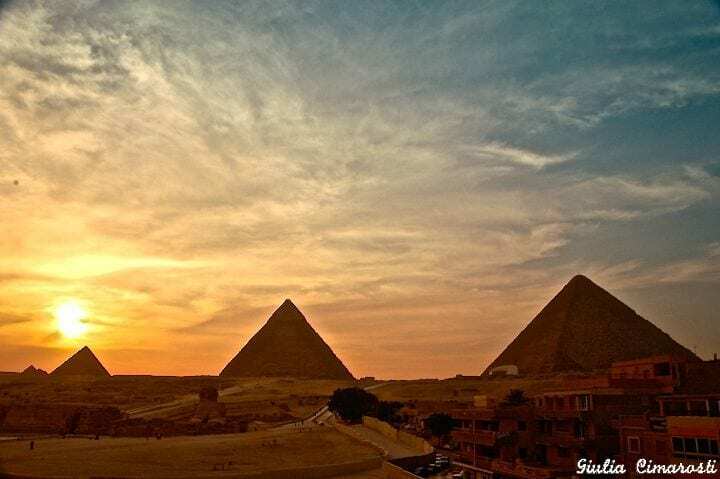 This is mainly famous for the Pyramids, the Nile and Cairo. Cairo is the capital of Egypt and such a wonderful place. Keep blogging like this. Wow! such a nice blog. Thanks this is all great information.. Cairo is absolutely beautiful and in a wonderful location. It is an amazing place with such natural delights. 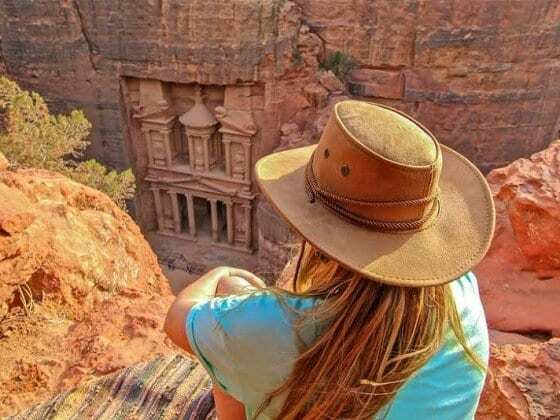 During spring season, I went there with my family with the help of Explore Egypt. It is a famous travel expert agency. Keep posting like this. The city of Cario is loaded with plenty of tourist highlights that will take your breath away. 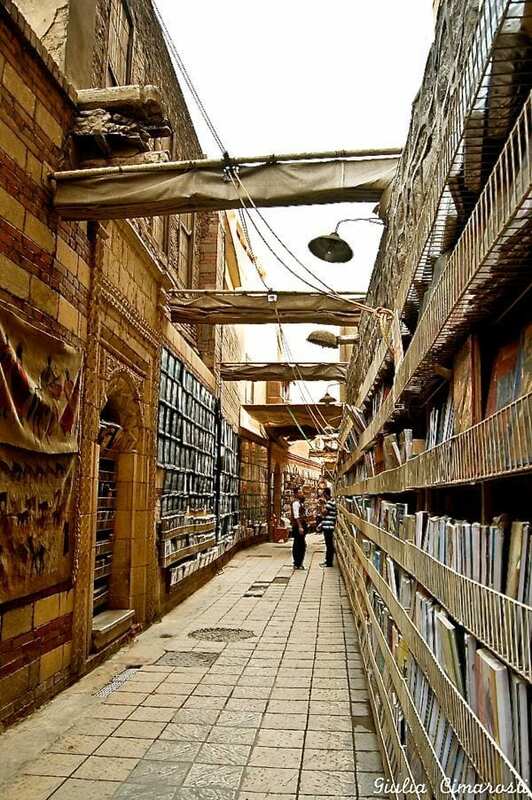 This Egypt town has everything for the people from all walks of life enough to make them admire the city for long. Thanks for the insight into cairo. Was in two minds about it as an interesting destination but would you recommend it for a family holiday with babies? It’s good for families but don’t expect that you will use baby’s stroller unless in malls or gardens but not in streets. Streets are so crowded and no suitable pavement. And what I like to mention here that we also use uber now in cairo, it’s so good service. Stayed in Cairo for 4 nights a few years ago and while there are some amazing sights to see (especially the pyramids) the city itself is chaotic, noisy and extremely dirty. I have been all over the world and in fact still find Cairo the dirtiest place I have ever seen (and I was in Naples during the never ending garbage strike). While I would go back to the city in a heartbeat potential visitors should be made aware of this melting pot of refuse. Hello! Do you happen to know a good tour guide for Cairo and immediate vicinity? Someone who speaks some English and knows some history would be preferable. Thanks!